With summer under way, the weather is getting warmer (we hope!) and it’s time for our very woolly sheep and alpacas to have their fleeces off. Shearer Derek Knowles will be coming down to the farm next Friday, June 22nd with clippers in hand to give our woolly friends a summer trim. 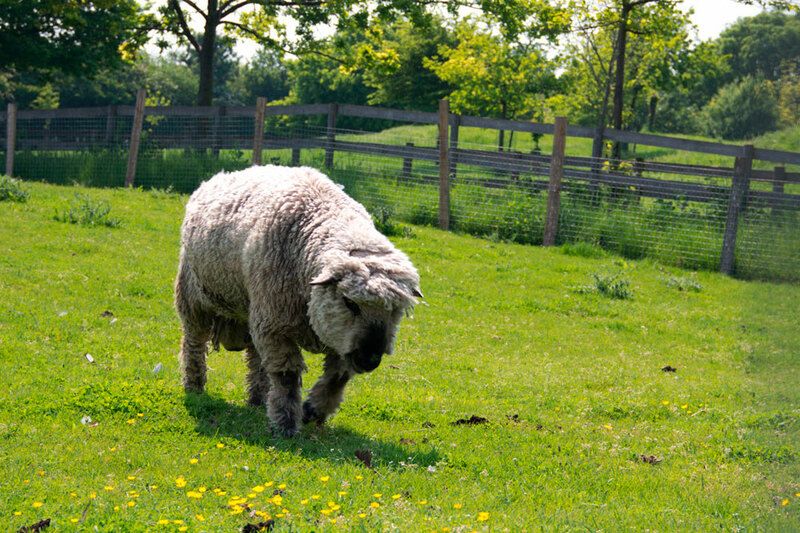 So why not come on down to the farm next Friday to catch the shearing in action? We expect things to start around noon at the trust building (the gun site located between the field currently housing alpacas and the field currently housing our ewes with lambs and llamas). The shearing will likely continue throughout the afternoon and take place in various fields across the farm. It will be an exciting day and we look forward to a flock of very sharp looking, summer-ready sheep and alpacas! We are also eager to speak with anyone interested in spinning and/or purchasing our rare breed sheep and alpaca fleeces. Please get in touch with farm manager Nick via email to farm@mudchute.org or send us a message via twitter to @mudchute.